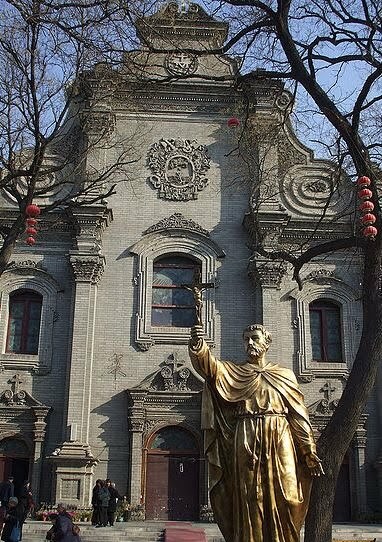 The late Ming Dynasty and early Qing Dynasty saw a great and amazing revival of Catholic Christianity in the vast Eastern kingdom of China during the 16th and 17th centuries. Two prominent figures who undoubtedly made the most significant contributions to this were none other than Matteo Ricci and Michele Ruggieri. In the preceding part of this article, you would have read about their contributions and activities in Ming China, especially those of Father Ricci who determinedly made his way to the Ming capital of Beijing to secure Emperor Wanli’s support for the missionary activities. Matteo Ricci’s death in 1610 did not mean that Catholic Christianity’s legacy in Ming China would just stop there. On the other hand, his death marked the ever increasing growth of Catholic Christianity throughout the provinces of the Middle Kingdom. Many Jesuit missionaries followed in his footsteps and continuously came to China, adopting traditional Chinese clothing, learning the Chinese language and preaching the Christian religion to the Chinese. Besides spreading the gospel amongst the people of Ming China, they also introduced and expanded Western sciences in the imperial court, gaining the admiration and trust of countless Chinese officials and scholars in the process. Needless to say, numerous Jesuit missionaries made such contributions to the vast empire. I believe that this article would become too long if I were to write about every single Jesuit missionary’s contribution. 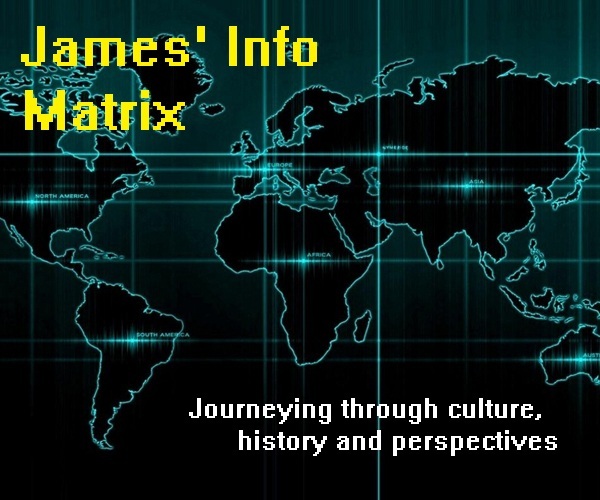 Hence, in this part of the article, I will merely be covering on the most prominent Jesuits after Matteo Ricci and their contributions to China, in terms of science and religion. Father Ricci, who was appointed as the Superior-General of the Jesuits in China in 1596, held this position until his death in 1610. 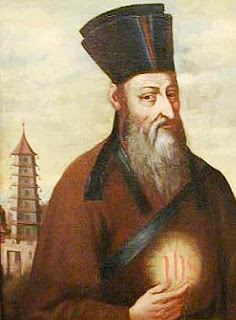 Upon his death, he was succeeded by Nicolò Longobardo (龙华民, Lóng Huámín) (1559 – 1654), a Sicilian Jesuit missionary who first worked in Shaoguan after arriving in China in 1597. Prior to Father Ricci’s death, Father Longobardo was asked to go to Beijing in order to assist him in his missionary activities there. Although he held the position of Superior-General of the Jesuits in China until 1622, Father Longobardo was still actively preaching the gospel until he died in 1654 at the ripe old age of 95. In his later years, his missionary activities centred mainly in Qingzhou (青州, Qīngzhōu) and Jinan (济南, Jĭnán), where he managed to baptize countless Chinese into the Catholic Christian faith. Alongside Father Longobardo, there were also other Jesuit missionaries who managed to carve their own names in Chinese Christian history through their untiring efforts in spreading the gospel and establishing strong Catholic Christian communities throughout China. Francesco Brancati (潘国光, Pān Guóguāng) (1607 – 1671) and Giulio Aleni (艾儒略, Ài Rúlǜe) (1582 – 1649) were two such missionaries. Francesco Brancati, a Sicilian by nationality, made great efforts in spreading Christianity and building churches in Jiangnan (江南, Jiāngnán), whereas Giulio Aleni, an Italian by nationality, tirelessly did the same in Jiangxi (江西, Jiāngxī) and Fujian (福建, Fújiàn). Nonetheless, no other Jesuit missionary who worked after Father Ricci’s death stood out more than Johann Adam Schall von Bell, also known as Father Schall. Johann Adam Schall von Bell (汤若望, Tāng Ruòwàng) (1591 – 1666) was a German Jesuit missionary who arrived in Macao in 1619. He entered mainland China three years later and started his missionary activities in Xi’an (西安, Xī’ān). Although his missionary efforts there were initially challenging, he quickly gained influence and trust amongst Chinese scholars and officials after he was summoned to Beijing in 1630 to participate in reforming the Chinese calendar. 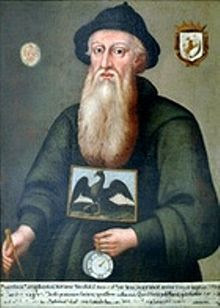 Besides contributing to the reformation of the Chinese calendar, Father Schall also succeeded in establishing an observatory in the imperial palace, equipping it with many Western scientific instruments. At the same time, he also attempted to spread the gospel within the imperial palace, which resulted in the acceptance of the Catholic Christian faith by some eunuchs and the subsequent establishment of a small Christian congregation within the palace. In addition to this, the Emperor also issued an imperial edict allowing Catholic Christianity and the gospel to be preached freely in all the provinces of Ming China. This was indeed a great boost to the Jesuits’ missionary activities in China, thus enabling Catholic Christianity to spread even more rapidly among the Chinese. In fact, Father Schall himself used this freedom to establish churches and Christian communities in Beijing and the nearby city of Hejian (河间, Héjiān). 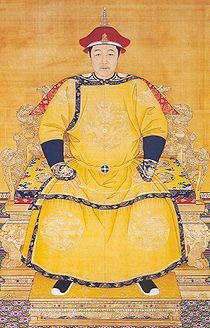 Despite the fact that the Ming Dynasty collapsed in 1644, Father Schall was still widely favoured in the newly established government of the Qing Dynasty. He became a close friend, personal mentor and trusted counsellor of Emperor Shunzhi (顺治帝, Shùnzhì dì), the first emperor of Qing China. Father Schall was held in high regard by Emperor Shunzhi, who granted the Jesuit missionary free entry into the imperial palace and even visited him frequently in his residence to learn more about the Western sciences, Catholic Christianity and philosophy. During the early years of the Qing Dynasty, Father Schall was entrusted with the major task of reforming and reorganizing the Chinese calendar for the use of the new Qing government. Just like his previous task of reforming the calendar under the Ming Dynasty, the great Jesuit missionary also attained widespread acclamation for carrying out this task under the Qing Dynasty. 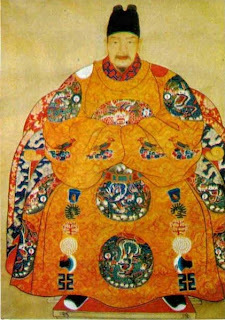 In addition to recognizing his authority over the Chinese calendar, officials in the Qing government also appointed Father Schall as the head of the Imperial Bureau of Astronomy (钦天监, Qīn tiān jiān). Doubtless to say, Father Schall’s appointment to this important position in the Qing government became an invaluable asset for Catholic Christianity in China. His successes in reorganizing the Chinese calendar and directing the Imperial Bureau of Astronomy gained not only the admiration of countless Chinese officials, but also the appreciation of Emperor Shunzhi himself. Without hesitation, Emperor Shunzhi bestowed numerous gifts and honours upon the Jesuit missionary, one of which was a plaque bearing the honourary title of “Most Profound Teacher” (通玄教师, Tōng xuán jiào shī) inscribed in Chinese. Nonetheless, none of these imperial gifts pleased Father Schall more than Emperor Shunzhi’s imperial edict praising the “teachings of the Lord of Heaven” (that is, Catholic Christianity) and granting it protection and freedom to be preached in every corner of Qing China. Moreover, the Emperor also graciously granted Father Schall the permission to construct a new church in Beijing, on the site where Matteo Ricci’s residence used to be, in the year 1650. Emperor Shunzhi showed his token of support by offering a large sum of money for the church’s construction. The construction of the church was completed after 2 years, and it was then called the Southern Church, or Nantang (南堂, Nántáng). It was later known as the Cathedral of the Immaculate Conception in Xuanwumen (宣武门天主堂, Xuānwŭmén Tiānzhŭtáng) after Beijing received its first bishop in 1690. No doubt, this church received constant imperial patronage, whereby it was granted a Chinese memorial archway gate (牌坊, Páifāng) inscribed with the phrase “Imperial Reverence for the Way of Heaven” (钦宗天道, Qīn zōng tiān dào). (The “Way of Heaven” refers to the teachings of Catholic Christianity.) Besides, Emperor Shunzhi also showed imperial favour for the church by visiting it no less than 24 times and conferring upon it a commemorative stele with the inscription “Built by Imperial Order” (敕建, Chìjiàn). Emperor Shunzhi’s untimely death in 1661 proved to be ill-fated for Father Schall and Catholic Christianity in China as a whole. 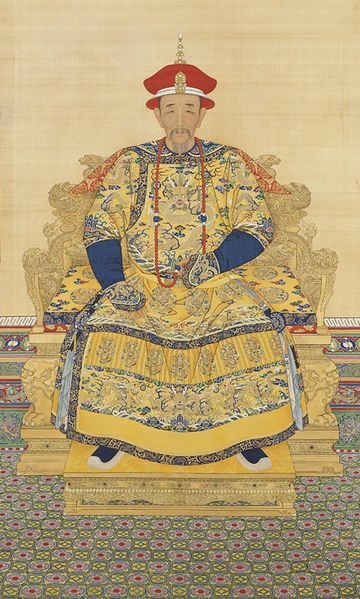 Prior to the Emperor’s death, there were quite a number of Chinese officials and scholars who were not only jealous of Father Schall’s achievements in the Qing government, but were also opposed to the spreading of Christianity. Realizing that Emperor Shunzhi’s death was a golden opportunity for them to act, these officials and scholars, under the leadership of Yang Guangxian (杨光先, Yáng Guāngxiān), hurled false accusations against Father Schall and the Jesuit missionaries in China, claiming them to have committed treason against the Qing government, taught false astronomy and propagated a religion of superstition. Accusations brought by Yang Guangxian and his followers were so strong that Father Schall was consequently sentenced to death by cutting him into pieces while still alive. Many Jesuit missionaries in Beijing were also exiled to Macao. The sentence was passed on the 15th of April, 1665. In the meantime, Father Schall was stripped of his position as head of the Imperial Bureau of Astronomy, and that post was handed over to Yang Guangxian. However, a series of extraordinary occurrences took place the next day, terrifying the Qing officials to reverse their decision. A violent earthquake occurred in Beijing, destroying the part of the prison where the sentence was to be carried out. Meteors of strange patterns in the sky were also reported, while a thick darkness was said to have covered the entire capital city. On top of that, a fire devastated the section of the imperial palace where the sentence was proclaimed. The Qing officials, interpreting these extraordinary signs superstitiously as bad omens, immediately reversed their decision. Father Schall was released and allowed to return to the church. 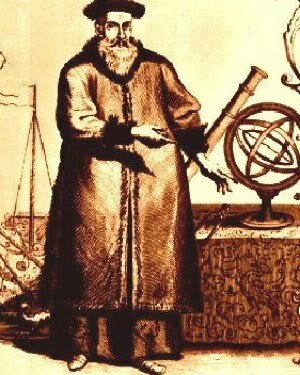 Nonetheless, Father Schall died the following year, and was replaced by Ferdinand Verbiest (南怀仁, Nán Huáirén) (1623 – 1688), a Flemish Jesuit missionary who had been faithfully assisting Father Schall in his missionary undertakings and astronomy tasks. When Emperor Kangxi (康熙帝, Kāngxī dì) came of age to fully assume the powers of the throne in 1669, he was informed that the calendar Yang Guangxian drew up for the following year had major flaws in it. The new Emperor then decided to have a public test in astronomy between Yang Guangxian and Father Verbiest to compare between traditional Chinese and European astronomy. With the aid of the latest astronomical knowledge and equipment from Europe, Father Verbiest passed the test and emerged victorious over Yang Guangxian. Following this achievement, Father Verbiest was appointed as the new head of the Imperial Bureau of Astronomy to replace Yang. Upon further investigation, Yang was found guilty of hurling false accusations against Father Schall and the Jesuits, and was consequently sentenced to death. With Father Verbiest claiming the venerable position that was once held by Father Schall, imperial favour towards Catholic Christianity was once again restored in full measure. Jesuit missionaries who were previously exiled to Macao were allowed to return to Beijing to resume their former roles. Imperial honours were also heaped onto Father Schall posthumously. Furthermore, Emperor Kangxi continued his father’s policy of providing generous patronage to the Jesuits and Catholic Christianity in China as a whole. Emperor Kangxi’s unwavering support towards Christianity and the Jesuits enabled the gospel to prosper even further in the vast empire of Qing China. To begin with, Father Verbiest was often invited to follow the Emperor on official visits throughout China. Such a privilege gave him ample opportunities to spread the gospel to aristocrats and commoners alike in every corner of the empire. Additionally, Emperor Kangxi reaffirmed his father’s policy of permitting full freedom and protection for the preaching of Christianity in China. Despite the presence of imperial support towards Christianity in China, the gospel received mixed reactions from the Chinese in general. Some were extremely receptive while others were merely sympathetic or indifferent. There were also those who were actively opposed to the gospel. Feel free to read more about the reception of Christianity in China in the subsequent part of this article.